Awe-inspiring historic shrines and temples; freely roaming deer; a dignified, refined air – this is the world-renowned prefecture of Nara, as we know it. 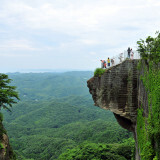 But beyond her historic monuments and attention-grabbing deer, there is another place of interest that has always been on the radar of adventurous haikyoists (urban explorers). Referred to as Nara Dreamland Japan, it may have nothing in common with Japan’s long and fertile history, but is nonetheless fascinating in its own right. 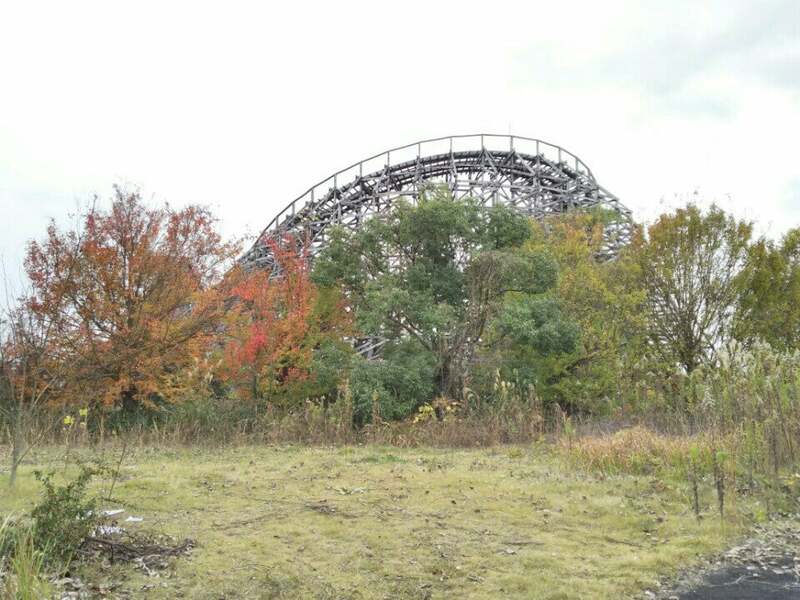 Just what is Nara Dreamland Japan exactly, and what accounts for its esoteric appeal for these adrenaline buffs determined to venture outside the well-trodden touristy path? Read on to find out! Disneyland was unveiled to great fanfare in California in 1955, with many users raving about how the rides and mystical buildings transported them to a carefree, dreamy world. Thus, Nara Dreamland Japan was constructed as a response to Disneyland; some people would even say that it was a ripoff of Disneyland. Indeed, there were many features inside Nara Dreamland Japan that closely resembled those of Disneyland. Case in point: a towering pink castle in Nara Dreamland Japan bore similar design elements with Sleeping Beauty’s Castle in Disneyland. Not forgetting other major attractions like Adventureland and Main Street USA! Perhaps due to the lack of originality, public interest in Nara Dreamland Japan waned over time. The straw that broke the camel’s back was the opening of Universal Studios Japan (USJ) in neighbouring Osaka in 2001. Nara Dreamland Japan just could not compete with the more hip and snazzier USJ and had to announce its closure in 2006. 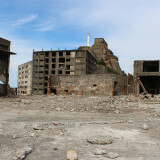 It has been a derelict landmark ever since. 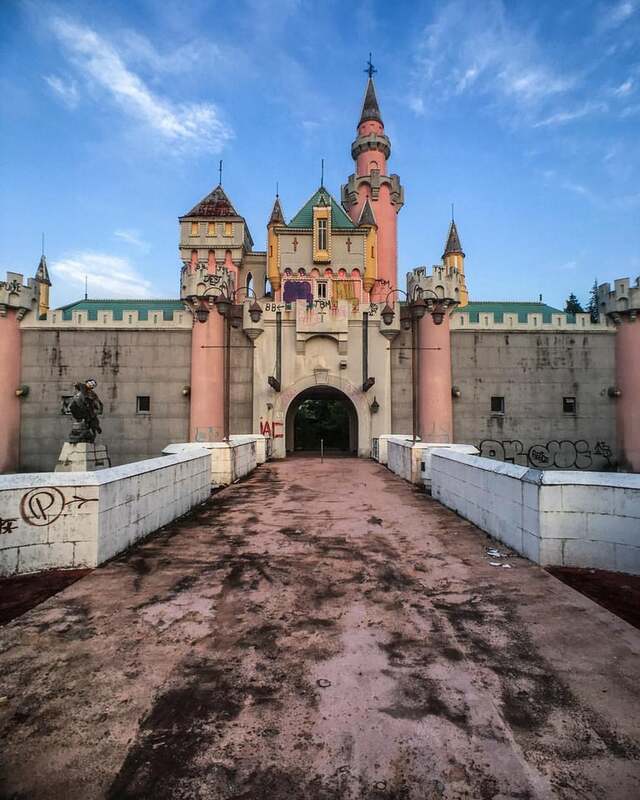 Just why do so many thrill seekers want to visit a dilapidated and abandoned theme park? Among the many reasons why Nara Dreamland Japan has attained cult status among haikyoists is that the facilities were left largely intact – save for rampant vandalism – after the closure, thus evoking a surreal and eerie feel of an era long gone. This makes for stunningly atmospheric photographs as well as a physical commentary on the impermanence of things! Secondly, these haikyoists love having the whole theme park to themselves as they can take their time to explore its nook and cranny. 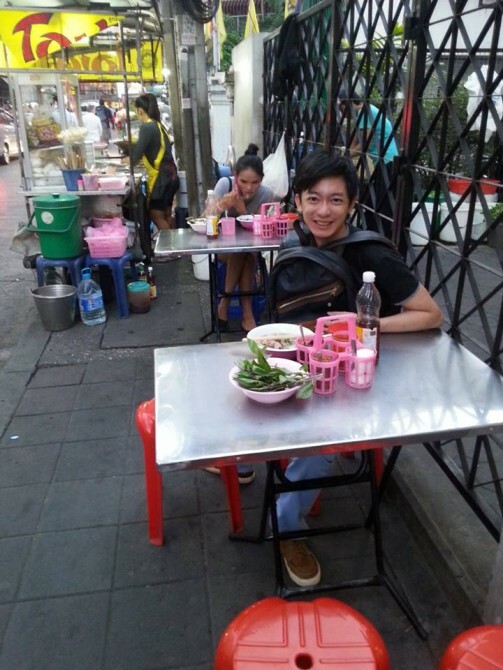 Taking Instagram-worthy photos has never been so fun and hassle free! Of course, the very fact that measures like fences with barbed wires and security guards are in place just turn haikyoists on as they want to see if they are smart enough to explore Nara Dreamland Japan without getting caught! By the way, we at My Top 10 Japan do not advocate that you break the law! Due to the lack of upkeep and maintenance, nature has overrun the theme park. 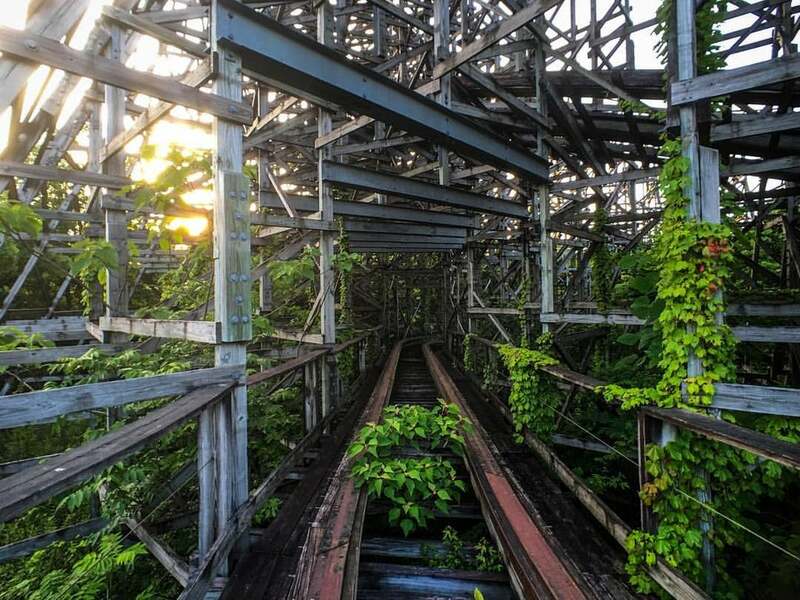 If you look at the photos taken by Michael Turtle, a travel blogger from London, you will be able to see how weeds are growing all around the attractions. Also, grass and plants have flourished so much that they are entwined together with various rides. It’s sad to see all these attractions go to waste like this, but at the same time, it is a vivid testament of the unyielding power of Mother Nature. Plus, the integration of vividly green grass and rusting rides gives rise to hauntingly poignant photos. This just happened recently in late 2015. 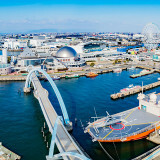 Nara City foreclosed the theme park as the then-owner owed it a hefty sum of 650 million yen in ground tax; it then sold Nara Dreamland Japan to a real estate company called SK Housing for 730 million yen. However, there has been no announcement regarding demolition yet. In actual fact, strict zoning laws prohibit the theme park to be used as a site for residential, commercial, retail or hotel developments, so it is unclear as to what SK Housing will do with it. 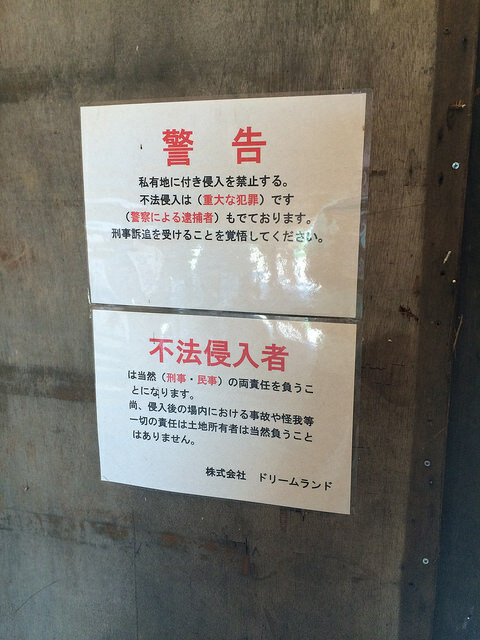 Which means that haikyoists can still enter the place, albeit illegally! If Nara Dreamland Japan is out of bounds, what other abandoned sites can I visit, I hear you ask. Thankfully, for the aspiring haikyoist, the options are aplenty. 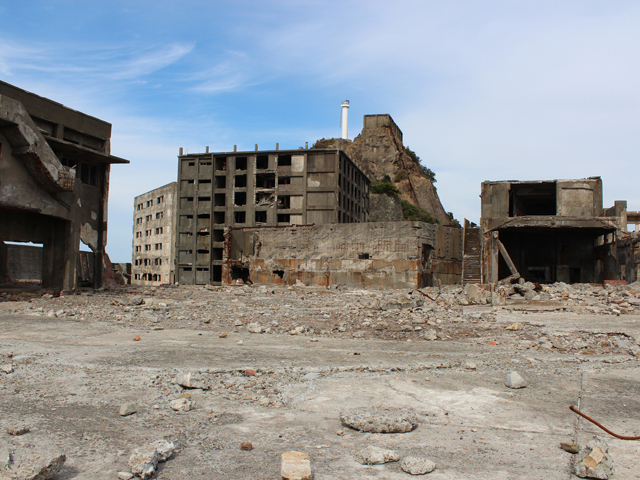 Gunkanjima was a once-thriving coal mining town that can be reached via a boat ride from Nagasaki Port. Likewise, you can see the remnants of a gold mine at Sadokinzan in Niigata prefecture. 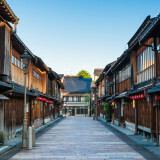 So tour one or two of these sites and get up close with these forgotten windows into Japan’s past!